In order to acquire knowledge from databases, there have been proposed several methods of inductive learning, such as ID3 family and AQ family. These methods are applied to discover meaningful knowledge from large databases, and their usefulness is ensured. However, since there has been no formal approach proposed to treat these methods, efficiency of each method is only compared empirically. In this paper, we introduce matroid theory and rough sets to construct a common framework for empirical machine learning methods which induce the combination of attribute-value pairs from databases. Combination of the concepts of rough sets and matroid theory gives us an excellent framework and enables us to understand the differences and the similarities between these methods clearly. In this paper, we compare three classical methods, AQ, Pawlak's Consistent Rules and ID3. 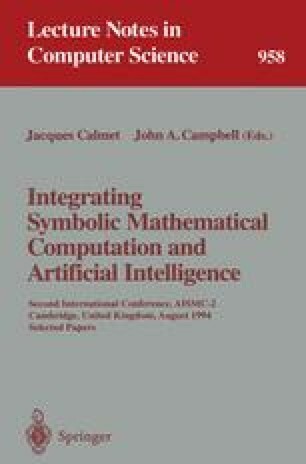 The results show that there exists the differences in algebraic structure between the former two and the latter and that this causes the differences between AQ and ID3.